Beautiful like-new 2015 built single-story solar home. Great floor plan w/ a 3-car garage, separate master, great room, & large kitchen w/stainless appliances, under cabinet lights, & island. All overlooking an entertainer's backyard where you enjoy foothill views, stamped concrete patio, & a spectacular heated Pebble Tec pool & spa. 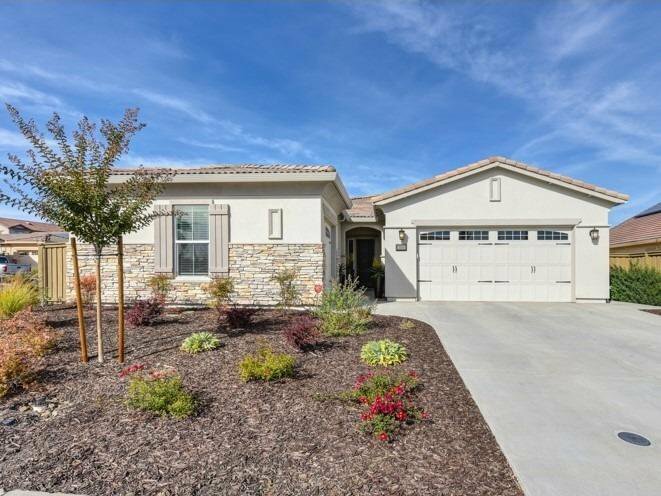 All on a .2-acre corner lot in desired Empire Ranch & close to trails, Vista del Lago HS, Russel Ranch Elem, Folsom's Shops, Restaurants & more. See video tour. Listing courtesy of Keller Williams Realty Folsom. Selling Office: Garcia Realty.